Mi Chunche: We are finally on the Google map! 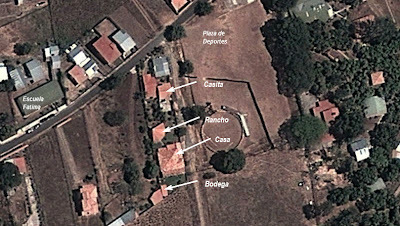 If you've ever wondered what our place is like, you can finally see our hogar (home) in Google Earth. For years we've been looking at blurry satellite images of the Atenas area and our place was just a dark smudge on the map. 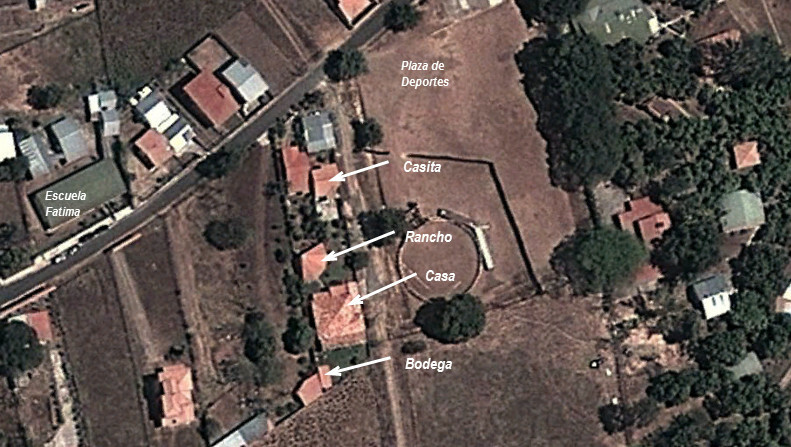 Last month Google obtained new images and you can clearly see our property and all of the surrounding neighborhoods. This image was updated in March, just after our annual neighborhood fiesta and rodeo. You can still see the bull ring and the flat bed trailers where they had setup chairs for the spectators. It's too bad the image was taken at the end of the dry season... the recent rain has already started to turn the sports field green again. So now when you think of us, you'll be able to picture us living here in our tropical paradise.